Choosing to eat healthy, and then maintaining a nutritious diet is one of the best decisions a senior can make. As we get older, it becomes more difficult to fight off illness and avoid various ailments. Eating well can boost your immune system and help fight off sickness. A senior’s diet should be rich in nutritional value, improving overall health and general sense of well-being. Here are some ideas to make it happen. 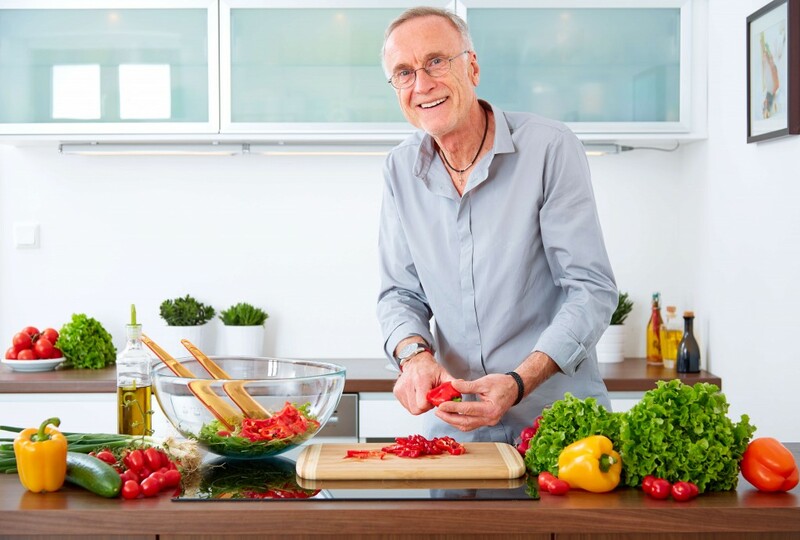 The keys to making an effective diet, as well as being able to maintain it for an extended period of time, are simplicity and balance. Include a good balance of protein, fruits and vegetables, and carbs. Also, make sure your regular meals are something you can easily prepare, but yet you still enjoy. Selecting a diet of food that you can eat on a repeat basis and that doesn’t take too much time or effort is critical to ensuring the diet is followed for the intended period of time. Replacing foods that are high in fat or sugar with healthy foods like fish, chicken, eggs, fruits and vegetables is a definite step in the right direction. These two food groups are the most important for a healthy diet. Especially green, leafy vegetables, eat as many as you can! Fruit and veg also provide you with much needed fibre to prevent constipation and keep you regular. The foods you will want to include most in your diet are whole foods. Whole foods have been processed and refined as little as possible, and contain very few additives or other artificial ingredients. These include items such as produce, dairy, and fresh meat. Of course, it is probably not possible to avoid packaged foods entirely so just make sure to read the labels carefully of any processed food you do buy. Try to steer clear of foods high in fat, sugar, or salt. Also, if the label you are looking at contains a bunch of unrecognizable or unpronounceable ingredients, you might want to take a pass on that item. Eating appropriate portions at meal time is imperative for good health. Overeating can lead to obesity as well as numerous other health problems. Eating too much at dinner time can cause heart burn and make sleep difficult and uncomfortable. Even if it is your favorite meal, try to limit your portion size to the recommended quantity! Try implementing a fun activity as a part of meal preparation. This will make it is easier to maintain the diet for a long period of time. If the whole process becomes an undesirable chore, it can be very hard to keep the routine going. 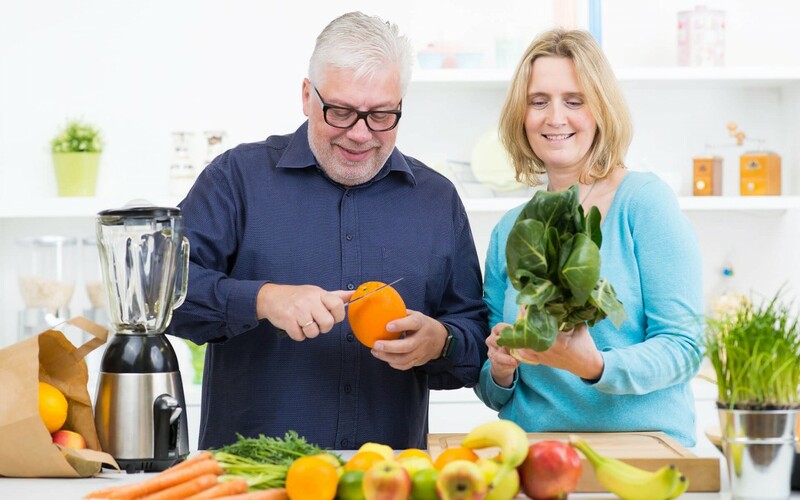 If you require any assistance with planning and implementing a new diet, our caregivers at Retire-At-Home Toronto are here to help! Please contact our office today for more information.